Indexed in: Book Citation Index, Science (BKCI-S), Scopus, BIOSIS Previews, EBSCO. Diabetes and Hypertension: A Cause and Effect Synergy? This is an eBook different from the traditional concept of hard or soft cover book. This approach will make the book more easily accessible to a wider section of readers. It is a great pleasure on my part to pen a foreword for this nice, multiauthored, international publication on a topic very close to my heart. I wish the editors great success and will look forward to see a regular series culminating from this beginning. I also extend my sincere thanks to all the contributors for their excellent efforts in making this book a success. The serious health risks posed by hyperglycemia and hypertension need important elaboration. 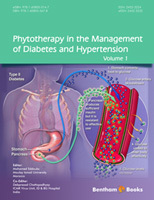 This eBook paves the way to success in the management of diabetes and hypertension through plant-based therapeutic and dietary intervention, systematically addressing the issues facing by the community, particularly the clinicians through a safe and effective way. Scientists demonstrate the potentials of naturaceuticals and lifestyle management in controlling the dreaded diseases diabetes and hypertension through studies and experiments are reported through this book. The result is a valuable source of information unavailable elsewhere. In this timely and original eBook plant pharmacologists from around the world demonstrate the potentials and pitfalls involved in turning traditionally used medicinal plants into safe and effective drugs in addition to a valuable source of otherwise unpublished information. The eBook adds valuable data to the existing knowledge of hyperglycemia and diabetes and their management. The eBook emphasizes the basic biochemistry for diabetes mellitus and hypertension, and described every aspect of these lifestyle diseases and its control or remediation through a cost effective, safe, easy-going, easy-adaptable method through the age-old practice validated by scientific research. This eBook contains seven complementary chapters dealing with various aspects of these diseases and their Phytotherapy treatment and life style management. As the Phytotherapy can give long term benefit with less or no side effect, hence this eBook can be treated as authenticated alternative or complementary therapeutic compendium to the physicians and patients. This eBook will be useful to the students, teachers, researchers, scientists, clinicians and even the common people interested to know about the subject as health is a personal choice. The Editors would like to express their deepest gratitude to all the contributors and Bentham Science Publishers.